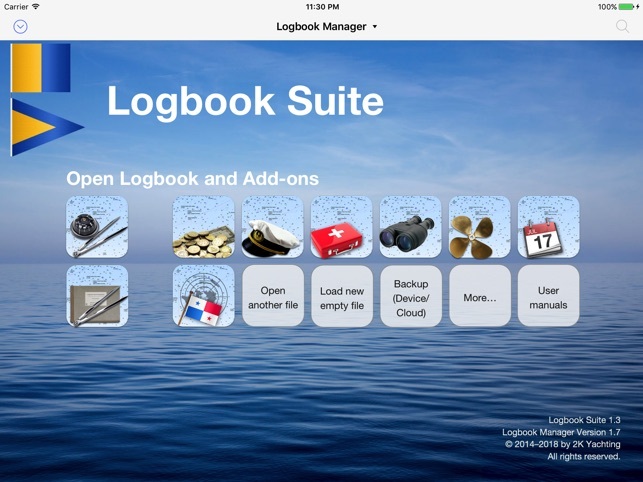 Logbook Suite is a user-friendly software from yachtsmen for yachtsmen (both sailors and motorboaters)—Made in Germany. Logbook Suite includes a digital Logbook and the Logbook Add-ons, a selection of useful little tools, with which you can manage tasks around your ship and your travels on yachts. Logbook replaces the handwritten logbook on sailing and motor yachts. 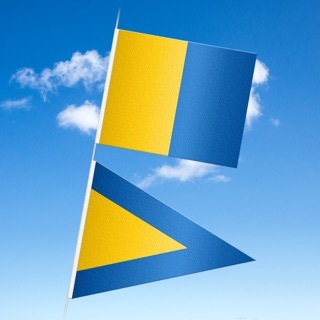 Yacht owners from over 40 different flag states are using Logbook on all oceans and numerous inland waterways. More and more skipper of charter yachts love the digital capture of their trips. The software is in the market since 2011 and is continuously updated and further developed—since 2016 also available as app for iPad. The user interface of the Logbook differs from other digital logbooks because it is orientated by the traditional, hand-written logbook. 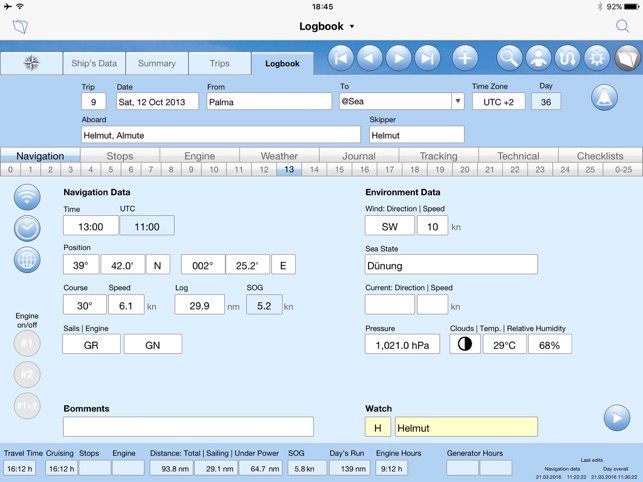 Instead of computer-technical input masks you get pages with a practice-oriented layout which makes it easier to enter all relevant data into the logbook.The Logbook in Logbook Suite works completely without internet access. When you use the Logbook on an iPad Cellular, 4G or 3G the actual position can be read from the iPad's GPS. And if you connect a NMEA onboard network or a GPS receiver to your iPad, Logbook can read the nautical data and enter them automatically into the logbook. 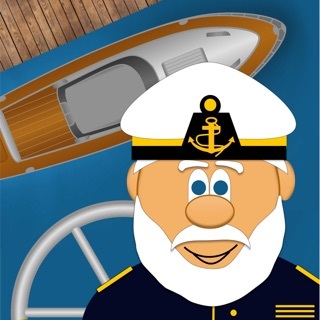 Logbook Suite is suited best for skippers who have used printed logbooks up to now, but want to make use of the advantages of a digital logbook. These are—in addition to the optional automatic recording of navigation data—for example the automatic analysis of the nautical data. Using the trips and the overview Logbook automatically calculates for relevant data totals as well as average values—both for every day, for a whole trip and for all entries in the logbook. Of course your logbook can be printed. Hence you can make a printed logbook for you and your crew to keep the trip in memory. 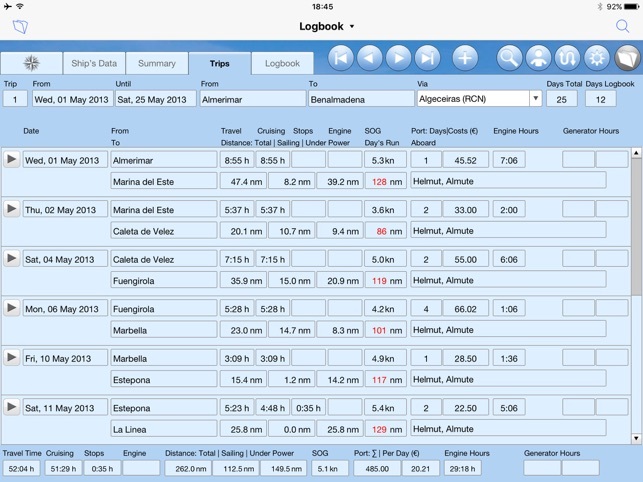 During the journey you can enter the nautical data in Logbook just like in the traditional logbook on paper. It is up to you how often and how detailed you type in your information. Logbook provides for each day a page with several tabs for the nautical information and for weather information, technical notes as well as for your personal diary with photos. Besides, Logbook offers a special view where you can put in detailed information on your yacht. This makes it easier to find all important information when needed. Thus the navigation data can be entered easily even under worse conditions Logbook presents a special view with large fields for data entry while cruising. 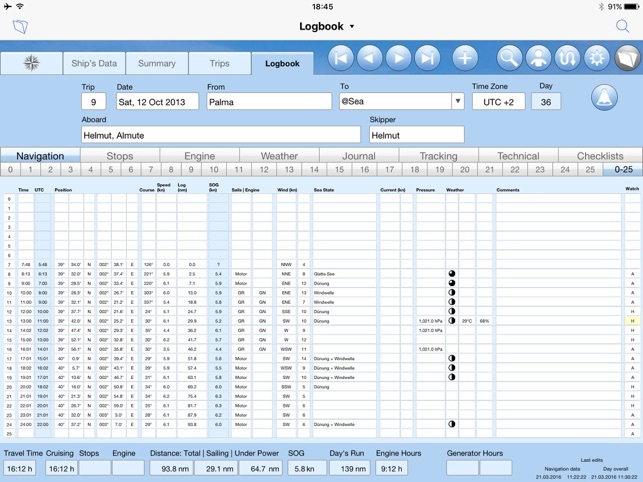 The user interface of Logbook Suite can be set up to English, Dutch, German or Swedish. Read more about Logbook Suite—about Logbook and the Add-ons—on our website. 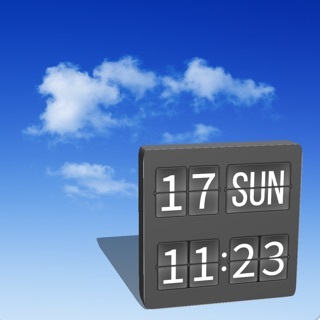 WARNING: Logbook Suite works only in landscape mode. 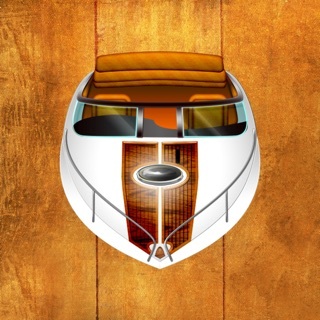 IMPORTANT NOTE: The app installs a limited version of Logbook Suite. The limited version offers all the features of the full version, but is limited for Logbook to 5 travel days, for the Add-ons to 9 entries. If you like Logbook or one of our Add-ons, you can purchase a license in our shop and convert your the limited version into a unlimited full version. More info on our website.